KRCRC supports and publicizes the work of allied pro-choice organizations. Our newsletter, Voice for Choice, offers these groups a forum in which they can inform the public about their work, recruit members, and solicit donations and other kinds of support. KRCRC also frequently cooperates with other groups to organize demonstrations, inform the public about relevant issues, and support or oppose legislation. 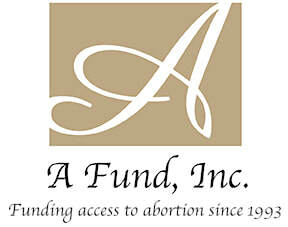 ​for abortions for women who cannot otherwise afford them. ​Louisville Clinic Escorts accompany patients who seek care at the EMW Clinic through the crowds of anti-choice protesters who often threaten and intimidate them. Kentucky Health Justice Network/Kentucky Support Network is a network of volunteers that provides many kinds of support to women who have chosen to terminate their pregnancies. These services include financial assistance, transportation, interpretation, and more. KHJN/KSN also holds workshops and educational events on reproductive justice and its implications for racial and gender relations. Reproductive Rights for Kentucky PAC raises and funnels much-needed campaign support to those elected Kentucky federal and state officials who safeguard women’s rights, and supports candidates for office who oppose legislation that limits access to contraception and abortion. Planned Parenthood of Indiana and Kentucky provides high-quality and compassionate health care; reduces unintended pregnancies and sexually transmitted infections through age-appropriate and accurate sexual health education; and advocates freedom of individual choice in all matters of sexual health and reproductive justice. The Reproductive Freedom Project of the American Civil Liberties Union of Kentucky is dedicated to protecting and expanding reproductive rights for all Kentuckians through education, advocacy, and litigation. Kentucky Concerned Clergy for Choice is a member of the national Concerned Clergy for Choice movement, a multi-faith network of more than 1,000 clergy dedicated to ensuring access to reproductive health services and education.